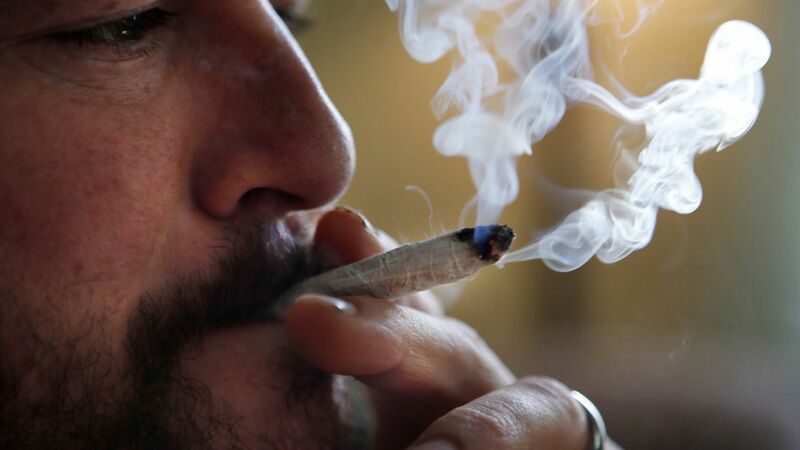 Scientists have discovered that a receptor in the body that THC binds to is malleable, re-igniting the possibility of drugs that mimic cannabis, Wired reported. Why this matters: Researchers have long sought to develop chemicals that offer the benefits of marijuana, such as pain relief and anti-nausea, without the unwanted side effects of getting high. How it works: When someone smokes, THC binds to CB1 receptors on the surface of cells in the brain, liver, lungs and elsewhere in the body. This interaction causes the cells to release chemical signals that lead to the typical side effects of smoking like hunger, anxiety, and euphoria, for example. Previous years of research suggested that CB1 receptors only responded to a specific chemical, like a lock and key. The new discovery: Alexandros Makriyannis, director of Northeastern University's Center for Drug Discovery, along with a team of researchers from China, California, and Florida used X-ray crystallography to see the interaction between the receptor and compounds similar to THC. They found when THC-like molecules went into the receptor, it twisted to fit around the molecule and shrunk down to about half of its original size. Rather than react in a single, specified manner to cannabinoids, the receptors are flexible. "We want to make compounds that will modify the receptor differently, so we can make better drugs," Makriyannis told Wired.